EVERY WEBSITE YOU visit will mention the same thing upon arriving. It will tell you it’s using cookies, you click ok to get rid of the banner ad that popped up and you go on your merry way. For the most part, they don’t impact you in any significant way, but it’s worth explaining what exactly they are and how far they can reach. Cookies are a site’s way of tracking your movements while visiting and remembering specific details about it. They come in the form of small text files, with ID tags stored in your browser’s directory for future reference. One site can have multiple cookies, many from sites you haven’t or will not visit like ad sites, that will be saved on your browser for future reference. The type of cookie saved is either temporary or permanent. The temporary cookies only remain while you’re still on the site. When you leave, they disappear. Permanent cookies stay saved onto your browser for the next time you log in. So how much information do they save? Not a whole lot. As mentioned, cookies are small text files that save three main details: the name of the server it was sent from, how long it lasts and a randomly generated unique number. Cookies don’t save private or personal information nor can they go through your PC for additional information. They have only one function and that’s only related to the site you’re currently visiting. 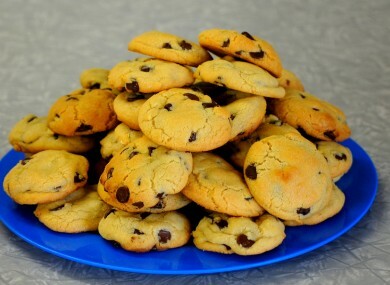 Some of the cookies used on sites like google.com come from other sources. They allow two things. The first is convenience. By saving data from your last visit, it will load up faster and remember details so it loads up faster. If a site has any customisable features designed for use like sign in, it can save that for you so the next time you visit, you don’t need to go through the same process. Some cookies can track your browsing history which leads to this, and for that reason alone, some may feel that is a little invasive, but there are ways to remove them if you feel that way. For one, you can delete cookies entirely by going into your browser’s history. This is usually found in settings but all of them allow you to wipe clean cookies and other cached data. You can also view and block individual cookies by clicking the icon to the left of the site’s URL – normally a lock, globe or page icon – or by going into the browser’s settings. How cookies are found in Google Chrome. You could go a step further and download a plugin like Cookie Inspector for Chrome, a plugin that allows you to delve deep and edit cookie properties. If you do block cookies, it could mean that you will lose some functionality for certain sites, or that you will have to enter in details or change settings every time you visit. Email “What the heck are cookies and what do they do?*”. Feedback on “What the heck are cookies and what do they do? *”.